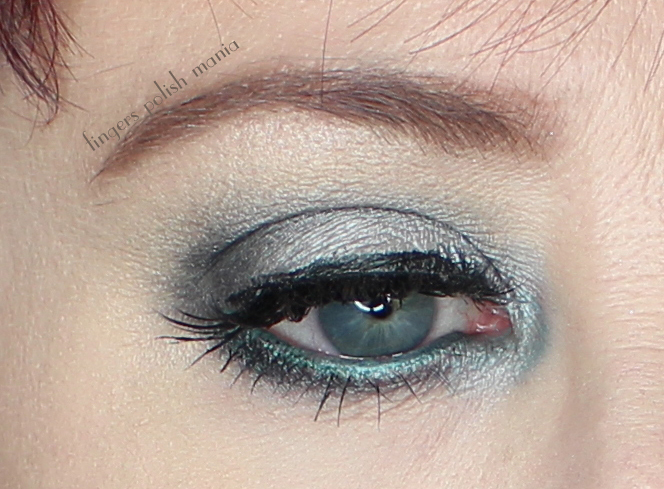 So for today we have the Shades of Grey eye look closeups. I am rather proud of this one but for the lashes. I think I cut too much length off and the thick stiff band just wouldn't mold to my eyes. Honestly, I really just like my cheap drugstore Ardell Wispies. Anyway before we get to all that it's story time. The official dictionary definition of a deadline is: the latest time or date by which something should be completed. Seems like a pretty straight forward definition. Easy to understand right? Wrong at my job apparently. This year they are making the flu shot mandatory. This I am totally against. I am not in the military and you should not be able to force me to get an injection. If you do not get said flu shot by November 30th, you are suspended from your job without pay. If you don't get it by the end of December, you are fired. I was going to try and do the medical thing where you can't get the shot due to medical reasons. Then I looked at the fine print at the bottom of the form. It states that even if you are found to have such a medical reason not to get the shot, you can be moved to another job within the institution. WTF? So I had to scrap that route. I then asked one of the patient lawyers we have on staff. They stated that obviously the hospital has high dollar lawyers that made sure they were covered in order to force this issue. It's for the greater good sort of thing. So I get the email from the boss stating that she has been informed that I have not done my flu shot yet. I replied, I am aware of this. I will be getting the shot on November 30th. My calendar is marked. To which she replied I would suggest you get it before then unless you plan on going to our Employee Health as if HR does not get the form in time you will not be able to work on December 1. I left it alone. What happened to the deadline being November 30th? Here's why I don't do the flu shot. Not sure if you guys know this. Every year around March the world doctors gather and decide what strains of flu they THINK will be prevalent in the winter nine months later. Last year's concoction was only 19% effective as they were dead wrong on the flu strain last year. I would totally do the flu shot if they knew exactly which strain was going to happen. But with it still being all guesswork? Nope thanks I'd rather not. So my little protest is to wait til the deadline. Side note: I'm jamming to Jessie J Burnin' Up. Damn she has got an amazing voice. All right let's do this. As you can see, the lashes are a little lame-but totally my fault and not the lashes themselves! Here are the products I used for the whole face. Makeup geek eyeshadows in: Rapunzel, Mercury, Graphite and Galaxy. 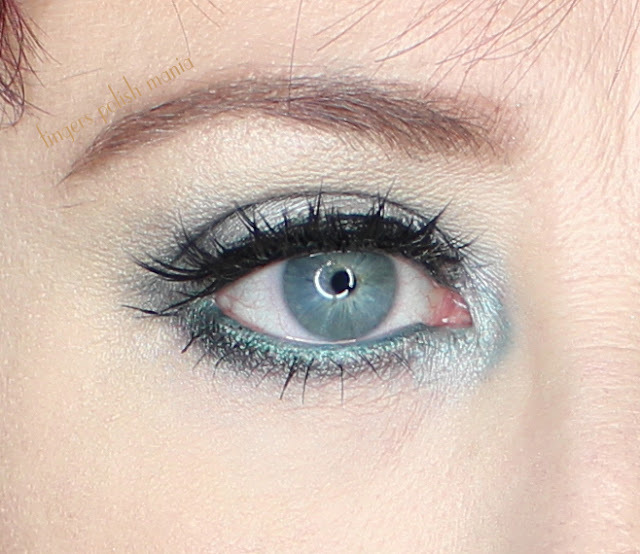 The waterline was a mix of about 5 shadows as not one gave me the true POP I wanted. I think that's the list. Let me know if you're ready for a real live tutorial video.